Loving jewelry made from all kinds of precious and semi precious, rust resistant metals and precious, and semi precious stones and crystals is one thing but keeping those jewelry in mint condition is another. Pollutants in the form of dust, sweat and external factors like scratches, finger print marks and stubborn stains dull the much coveted and expected to last a lifetime glittering appearances of your favorite and prized jewelry pieces. If you slack in caring and cleaning your jewelry, over time, they will lose their dazzling quality and you may be forced to discard them when they can be preserved and passed down to your generations to come, as heirlooms. To keep your jewelry shining and sparkling, looking as perfect as when you first bought them, a certain degree of effort and relevant knowledge are necessary. While effort should come on your behalf, we at Belinda Jewelz are doing our part in imparting the knowledge on how you can maintain your jewelry’s appearance, strength and endurance, standing the test of time and impurities build up. 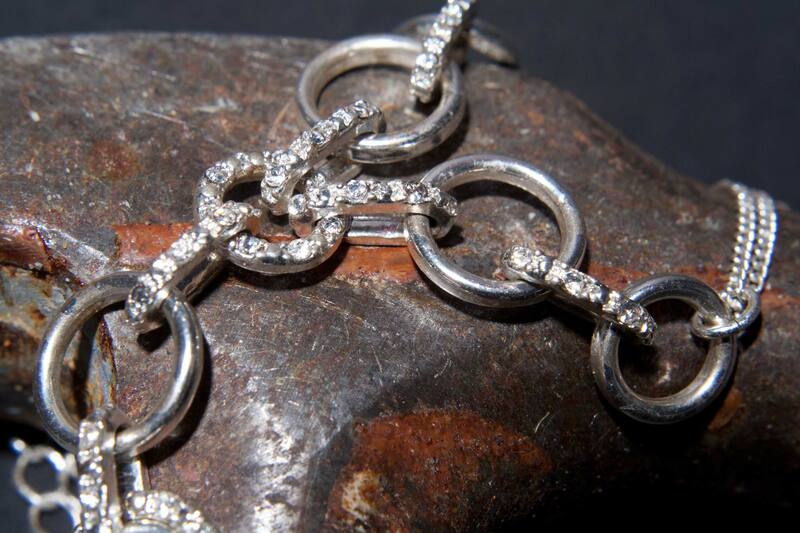 There are two parts involved in your endeavor of jewelry maintenance, caring and cleaning. One thing you must remember and actively practice is removing all your jewelry before bathing. Forget soaking in the bathtub with your jewels decked on you. The harsh chemicals from the suds you use to cleanse yourself won’t clean your jewelry simultaneously; instead, they will damage your jewelry, sometimes beyond repair. This is the golden rule you must apply. Completely avoid wearing jewelry in swimming pools – wearing jewelry and going for a dip in the sea is also a no-no. Chlorine in the swimming pool water and the concentration of salts in seawater have the propensity of reacting with the metals used to craft the jewelry, resulting in color distortion and sometimes structural damage. The same is true for spas – leave your bling at home. Manual tasks require the removal of jewelry, especially those involving contact with foreign substances and tools like detergent, floor cleaning solutions, knives, soil, food stuff like oil and flour, etc. Those factors mentioned may cause physical damage to your jewelry due to the exposure to the chemicals. Only don your jewels after you’re done with your skin care regime, applying makeup and doing your hair. Skin care and beauty products have properties that can cause your jewelry to lose its sheen irrevocably. Jewelry is not an ideal bed companion – besides making you uncomfortable, it’s not good for the jewelry either. So, take your jewelry off before hitting the bed. Also make it a regular nightly ritual to cleanse your jewels with a tender, protective touch – removing dirt and oil so that they won’t cloud the brilliance of the jewels. Store your jewels properly – in cloth pouches, tissue papers or jewelry boxes with compartments. This will avert misplacing. The separate sections storing will prevent jewels from scratching each other, especially diamond pieces and necklaces from tangling up. You should avoid from simply using any wiping or brushing material to clean your jewelry. A soft or polishing cloth yields the best results – you can clean your jewelry properly without it sustaining damage. Clean your jewelry with a gentle touch. Warm water is most suitable to use as a cleaning agent for jewelry – you can also use warm soapy water, the soap, near neutral in ph balance. Or you can use cleaning solutions obtained from a jeweler. Alcohol functions as a good cleansing agent for jewelry but steer clear from bleach. Use a bowl when cleaning your jewelry – doing it at the sink may result in loss of jewelry. Pat dry the freshly washed jewelry with a soft, lint free cloth – please don’t rub vigorously. Leave your damaged jewelry alone – don’t attempt to clean it. Instead, seek reparation at the soonest – further handling by you will only have you to pay more for the repair cost. If you are not confident on the best ways to clean your jewelry by DIY techniques, you may opt for professional cleanings – they will clean your jewelry to the dot of the precious metals and stones use. Certain metals and gemstones require certain protection and cleaning methods. Storing your silver jewelry in air tight container is highly recommended as humidity may tarnish the gleam of your sterling silver jewelry. Yet, no worries if dullness has set in – with a jewelry cleaning cloth, rub your silver jewelry, with circumspection and gentle strokes then wash it in warm water. After that, pat dry. If you’ve been careless with your white gold jewelry, exposing it to chemicals of the household or just by innocuous daily wear, the rhodium coating will wear off, making the brilliant sheen disappear. Many people don’t mind the yellowish color of their white gold jewelry showing over time and continue to wear it. However, if you want to get the white glitter back, you can recoat your white gold jewelry with rhodium at any jeweler – it’s not very costly. You can clean jewelry with gemstones with dishwashing detergent and a soft bristled toothbrush. Secure settings should be maintained so examine your gemstones embedded jewelry every so often for signs of gemstone looseness. If your jewelry sustains any visible damage, please don’t tamper with it and get it professionally inspected. Follow all these tips and advice and have your jewelry looking like new and you looking a bomb when wearing it!